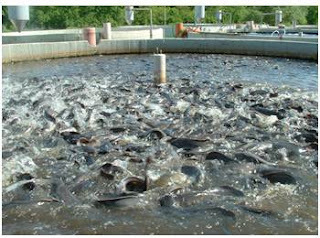 Catfish farming is one of the profitable agribusiness ventures for youths. One could easily make a lot of Money venturing into commercial Catfish farming. For my fish farm, I am culturing the African catfish known as Clarias gariepinus. 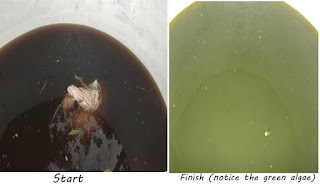 Although I use the semi-intensive culture of catfish where algae are allowed in the pond water as supplementary fish food and source of oxygen, it is important to flush the pond for a number of reasons. 1. Water changing remove excess nitrates, heavy metals (which will just concentrate if the pond water is only replaced through evaporation). So reducing like three-quarter of pond water and refilling with clean water will reduce the concentration of these compounds. 2. Flushing of pond reduces pond water turbidity which impedes light penetration into the pond water. This turbidity is usually caused by a high concentration of organic matter in the pond. 3. It reduces algae boom; a condition in which the green algae becomes over-populated in pond water and harm the fishes by greatly reducing the oxygen content of fish pond water. 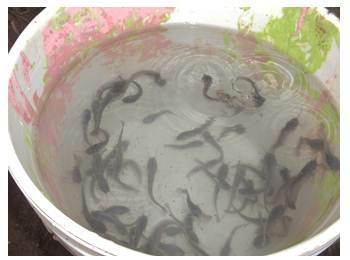 Always examine your fishes well and make sure they are well fed with the best feed at the fingerlings stage. Hope I have inspired you in my own little way to start your own fish farm today. Please Stay tuned to this blog on more updates on my how to successfully run a fish farm from scratch to finish. You can also contact me for enquiries about how to start you own fish farm. I will answer all your questions just ask. Sly, this is a beautiful work. Thank you for this. Woah. . . . if only Nigerian youths can embrace some of these things and stop waiting on the government for imaginary jobs!